Below is an interview transcript with Victoria Basolo. This transcript is part of a series of interviews that are meant to shed light on how experts think about inclusionary zoning. You can see a full listing of all the transcripts here. This transcript was lightly edited for clarity. 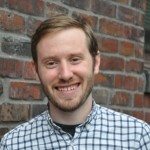 Owen Pickford (OP): Are you familiar with what Seattle is going through right now with inclusionary zoning? Victorial Basolo (VB): I’m not. I don’t know the specifics of what Seattle is doing. OP: Do you want a quick background on what Seattle is doing and how we got here? OP: Almost five years ago they implemented an incentive zoning program in one, small neighborhood in the city. It wasn’t used very much and it didn’t produce very many units. So over the last four years they started looking at doing something different. Initially they were looking at a program called linkage fees. There was a huge amount of push back. They convened a huge group of stakeholders and over the course of two years they developed 65 recommendations. The center piece is mandatory inclusionary upzones. They’re going to implement inclusionary zoning with an upzone in many different parts of the city that are called urban centers. These are basically areas of the city with capacity to grow. VB: I don’t know the particulars but if you upzone a property the current owner gains in that upzoning, upzoning typically increases the value of the property. If a developer has to buy that property it just makes it more expensive to them. If a developer owns the property and you say, “Hey we’re going to let you upzone. We’ve just given you something.” That’s the best time for cities to negotiate for inclusionary units. It really matters to developers the cost of the land is really important. If a developer purchases the property before it is an upzone, the property will likely be more valuable after the upzone, it is a regulatory induced windfall. However, if the upzone occurs prior to the purchase by the developer, it does not have this effect because the land value is already embedded or capitalized in the price of the land. OP: Yep. So the plan is, and they’re probably going to start doing this at the end of the year, they will actually do the upzones and the inclusion at the exact same time. It will be part of the planning process where they draw little lines around neighborhoods and say this neighborhood is going from x to y and while it’s happening it’s going to be required that 10% of your units built are affordable or something like that. VB: So the market effect on the land of the increase is theoretically absorbed in down-pricing it because of the inclusionary. Is that the idea? OP: That’s the intention I think, yes. VB: This approach should work depending on the percentage of set-aside units required in the development. Ten percent will likely result in a win for the developer in terms of gain from upzoning compared to cost of including a small percentage of affordable units. Of course, if the percentage (or number) of affordable units is too small, then the policy will not serve many households. Still, inclusionary approaches should never be considered THE policy, but rather one tool in a hefty toolbox. OP: Ok, so that’s what Seattle is looking at. It’s going to depend, and a lot of this still has to be negotiated but they are looking at 3-10% inclusion at 30-80% of AMI, depending on the area I believe and the number of units. There’s going to be a sliding scale I believe. Ok, does that sort of all make sense? VB: Yeah. You said 3-10% on 40 units or higher? OP: Uh no, sorry. 3-10% have to be below market. The subsidy is going to be targeted at people that are between 30 and 80% of AMI. I think the amount of units will be relative to the depth of the subsidy. So if you have 30% of AMI being served you have fewer units you need to do but if you have 60% you have to do more units. VB: Ok, got it. Again, it sounds like a modest program for the production of affordable units, but some are better than none. OP: Ok, so that’s where we are at. The reason I’m talking to inclusionary zoning experts is because there’s a lot of debate about the policy here. Just generally throughout the entire country, this is a little controversial. In different areas, the debate will focus around different things. But in Seattle specifically, this has been my experience, the biggest debate is about whether the inclusionary requirement will reduce the production of market rate units. I’m sure you’re familiar with that objection. VB: Yes, that’s one of the objections. Yeah. OP: So, what I’m trying to talk through with different people, there’s definitely some speculation and some research, but I’m trying to understand their personal opinions about the impact of a well crafted IZ program. Does a well crafted IZ program affect the market supply of units? VB: It’s a straight-forward question but it’s not a straight-forward answer unless you simplify a lot of things. When you say well-crafted it has to be well-crafted to context. What we found about inclusionary housing programs across the country through research on different markets were sometimes they had a really great effect and were really positive. Other times they had no effect or a negative effect. Ideally if you had a well-crafted program for the context, it would work exactly towards the goals it intends, which is to bring affordable housing to communities that don’t have enough for their workforce. The decision-maker has to look at the whole story. Possibly fearing change, a developer might say, “Wait, this is going to cost me.” I think this is a reactionary statement that assumes personal loss. The developer probably isn’t thinking about the long-term consequences to the community of a lack of affordable housing. They’re only thinking about their short-term gain. A public decision-maker should be looking at a community as a long-term prospect, not a short-term concern. The long-term prospect is that if you don’t have affordable housing in the community, someday there will be no need to develop for-profit housing because there won’t be anybody to fill the jobs serving the people that would buy market housing. The truth of the matter is that a well-crafted policy, if you are thinking about the community as a long-term entity as opposed to what happens today or in the next couple years, you would come up with a different answer than someone looking at a long-term view. I’m a planner by definition. We look at the long-term view because we know a community doesn’t automatically turn around in five seconds. It takes years. You hopefully have a set of integrated goals that will lead you to what you want that community to be. I know that isn’t an easy answer. It’s very contextual. It depends on what criteria you use to evaluate. OP: One of the complaints that is frequently raised; I’m trying to represent these complaints as best I can even though I don’t buy them, how can we depend on our bureaucracy to craft a well-crafted IZ program? There’s a myth about the incompetent bureaucracy which people play on. One of the questions I’ve asked a lot of different people is, do you believe it’s possible for cities to developer well-crafted inclusionary zoning programs that work? VB: Oh, I absolutely think cities can craft a good IZ policy. If I were a decision-maker in a larger or mid-size city, I would bring together a panel of people that represent different viewpoints to craft that policy. I’d definitely include some people that have an understanding of the research that’s been done on these policies. There are so many options, so many little things you can put in an inclusionary housing policy or IZ regulatory framework that will change how it performs. You really need to understand each element of it. Which means you need someone who has looked at this extensively. There are people in the country who understand the variations in IZ policies and understand what the research says and why it really needs to be context specific. I would include the views of the building industry because they bring information about development costs and what the trade-offs might be. From my experience, building industry people reject inclusionary housing out of hand. But with an open dialogue and if they’re in the community for the long-term, developers will recognize the importance of having housing for all income levels and work to find a way to do their part. They’ll start talking about it saying, “Ok if we did it this way what would off-set?” That’s what you need to know, what would offset costs, but not create added profits, in this context. You need everyone at the table. Yes, an excellent policy can be crafted but it has to crafted with knowledge from different perspectives. Ultimately there has to be a decision-maker saying, “I’m looking at the long-term view.” So if the thing that comes in isn’t really doing that because people just gave up and gave in to people, then they need to go back to the table and fix it. IZ policy has certainly been effective in places. OP: Ok. This is the next point of debate I think about these policies. I honestly believe that there’s not a cut and dry answer to this question. I’m asking in both a general and speculative way to talk through the nuances of this. There are three theories about how the cost of inclusionary housing is handled. You have your first theory which is that developers are making their required margins right now and if you increase the cost without giving any benefits, like a density bonus or something like that, it will make their projects not pencil out. They’ll go to other municipalities. They’ll take their capital elsewhere. Less market-rate housing will be built and will ultimately increase prices. There’s a second theory. Markets have slack with rents. An IZ policy that’s implemented in a place that has slack in rents, the developers will cross-subsidize the units so the below-market units will be paid for with higher rents in the market-rate units. Then I think there’s a third view of the mechanisms. Developers will see this policy coming and they will bid less on land in order to make up the cost they have from the units that earn less revenue. It seems like a lot of people I’ve talked to have said it’s not just one of those things. It’s a mix and it depends how you implement the policy. VB: The truth is, if a developer can make money in a market. It doesn’t matter if there’s a lot of regulations. If they’ve figured out they can make sufficient money, they’re going to go ahead and navigate the regulatory environment to develop land and build dwelling units. That’s why I’m saying a developer has to be at the table. Developers aim to reduce risk and make a profit. However, the margin of profit should be fair and no more after an IZ policy than before. Policies should be written so that risk is not increased for the developer and, at the same time, policy should not create added profit by providing incentives beyond what is necessary to offset costs associated with including affordable units in a development. Once an inclusionary policy has been adopted in a community, developers can factor it into their plans, reducing uncertainty. That’s why those trade-offs, like upzoning for affordable units, are really important to developers. OP: Yes, I think so. VB: Your three points are intertwined in some ways. It’s really more about understanding everybody in the process and what their motivations are. Don’t make someone the loser. At the same time, it’s part of the contribution developers make to the community. And I’ve always said this and it always sounds like some radical thing. Developers extract their profits from a community. Sometimes they don’t stay in that community. They go to the next community and then the next community. But, if they did invest a little in the community, by doing what they do best, build housing units including affordable units, then they share a larger responsibility with the community they helped build–as a community member I would appreciate and encourage developers who make this commitment. OP: That makes a lot of sense to me. I think my question is, generally speaking, do you think the way that cost is off-set is through rents or land costs. VB: Developer costs can be offset in numerous ways. If they receive a density bonus or upzone, then the value of the land increases because more units may be built there then when the land was purchased. Under this policy, cross subsidization of rents is unnecessary because the affordable units have already been offset through an increase in density. However, IZ policies can include other incentives such as public provided infrastructure, priority/fast tracking of project permitting, modifications of certain requirements (e.g., parking). There is no universal best approach to IZ because it should be co-produced with multiple parties representing an array of viewpoints and consideration of the particular context or community in mind. OP: I definitely get that. Can I summarize really quickly what I think you’re saying and you can tell me if I understand? There’s two things you want to avoid with developers. One, you want to make sure that the community is getting something back from the development. That all the profit from the development isn’t just going to the developer. But two you want to make sure that you aren’t extracting so much from the developer that they leave the market. Am I understanding that correctly? VB: Yes. The first point is more about creating a culture of understanding in a community that a developer who profits from a community should share responsibility for that community. Developers can really help, they can make a meaningful contribution, by working with inclusionary housing policy not against it. Everyone should avoid or reject knee-jerk responses, “We don’t want inclusionary housing.” And the advocacy side, “We want inclusionary housing.” It’s an adversarial process that often leads to inadequate policies. So this is where leadership is really important. How do we bring together these groups that historically are on opposite sides? How do we bring them together to develop a context specific program that is going to work? Strong leadership can bring together disparate groups and find solutions. OP: Ok, the point that I’m trying to get at, and it might not be a cut and dry answer, which is why I’m not sure exactly how you are answering this, but when you have a these subsidized units, the cost of that, someone is paying it. The question I’m asking is who is paying that cost? Or do you have an opinion on who is paying that cost? VB: My response would depend on the proposed offsets in an IZ policy. If there were no offsets, then the developer would pay, but these types of IZ policies are no longer viable. If the city contributes infrastructure, then the residents of the city are paying because city revenue is being used. If the city chooses density bonus or upzoning, then no one pays in a material sense; ideally, it would be a perfect trade off. However, some residents of the city may consider higher densities a cost, then in this case, those residents pay, but other residents valuing affordable housing might see it as a benefit. Ultimately, these policies are aimed at ensuring additional housing is available for households with low- and moderate-incomes and the cost of not having this housing needs to be weighed against the cost of getting it built. OP: Generally speaking, the reason this is being considered in Seattle is because there is pretty much a consensus for the need to have workforce housing and mixed-income and that sort of things. All of that is pretty positively received. The real debate is, this subsidy is coming from somewhere. This value that is going into subsidized units is coming from somewhere. Where is it coming from? What I’m hearing from you is that if the community upzoned an area and they didn’t have inclusionary zoning, the developer would have higher profits. But if they upzone it and they include the inclusionary zoning, the community gets something back in affordable housing but the developer doesn’t have as high as profits as they might have had if the inclusionary zoning wasn’t included. What I hear, when I hear that, is that the developer is paying for those units out their potential revenue they would’ve had, rather than out of their bid for land. VB: Again, if the developer owns the property, whoever owns the property, you make that property more valuable through upzoning. The asset is more valuable–each additional unit allowed increases value. This increased value allows the developer to build affordable units and some added market units to offset the cost of the affordable units. OP: So just what you said there. You said, “If it’s upzoned and they have inclusionary zoning, the person who owns it, they” You used the word ‘they.’ I wasn’t sure if you meant ‘they,’ as in the developer isn’t going to make as much profit when they buy it. Or ‘they’ as in the developer is going to bid less on land and the landowner isn’t going to make as much money as if the inclusionary housing hadn’t been implemented. VB: Ok, so let me back up a little. Here’s a piece of land, let’s say I own it. It gets upzoned. Now I have more valuable land. If a developer wants to develop that, I want the price that I know it’s worth. It’s now worth more because it’s upzoned. If the market is strong, and by the way Seattle has quite a strong market because it has a booming job industry, the developer is going to buy that land for the more expensive price because they’re going to make money off it since they have a huge market demand. But it would be better if it wasn’t upzoned until a developer got control of it and they get the benefit from the upzone in exchange for building the units. In other words, IZ policy ideally would allow increased density only on developments that provide affordable units. OP: That may produce less units or worse units or that sort of thing. VB: Yeah, and a lot of bad feelings that ripple through the leadership of the local government. It’s just a mess. I believe we’re better than that quite honestly but we’ve just fallen into this trap of being adversarial. OP: So one of the things I’ve been asking folks, people have various opinions on how inclusionary zoning works and whether or not they support it. I’m curious if you have colleagues whose opinions you respect and have disagreements with you on inclusionary zoning. VB: You know it’s interesting because as a planning academic I operate in a world of ideas and possibilities. Most of the housing people I know think that inclusionary housing or inclusionary zoning, however you want to phrase it, is one of many tools to achieve affordable housing. They think it can be quite a good tool. I do have colleagues in the building industry that do not think as highly of inclusionary housing. But to be honest I’m seeing movement because Orange County is one of the most expensive places to live in the country. We have a tech industry here too and we’re losing companies and young professionals because we don’t have enough affordable housing. Seattle is doing great now but the truth is, the issue of affordable housing will need to be addressed in the area. It sounds like Seattle is working to address an important issue in the community and inclusionary housing can help do this. But IZ is only one tool. It’s not going to solve the problem, but it will help. Other approaches will continue to be necessary to avoid unhoused or ill-housed residents. OP: You think that a city that does its due diligence and crafts a good policy can avoid the whole stalling of supply. At the end of the day, inclusionary zoning is dependent on private developers building market-rate units in addition to regular units. You think a good policy can avoid the problem of scaring away developers. VB: I think a good policy in a strong market is not going to scare away developers. In a market that isn’t very strong, because they can’t make much there, of course, they’re going to go somewhere else. But if the market is strong and you have rents that have escalated, IZ works very well in general. San Francisco is an example. It’s not like all of a sudden the market is going to fall out tomorrow because you have inclusionary housing. It’s ridiculous. Developers are still going to develop if they can make money there but maybe they can’t make money in Flint Michigan. OP: I was sort of thinking about this in Seattle and what I was thinking was that we have sub-markets in the city that command lower rents than other markets. So if we did a city-wide policy where you have an inclusionary requirement. You have to meet certain levels of rents but it’s the same throughout the city. What’s the impact going to be on these sub-markets that command lower rents? On the one hand, they can’t make it up as much in the market-rate rents, but on the other hand the subsidized units are closer to the market rate so they have less money they need to make up. That’s kind of the way I was thinking about it and I don’t know if that’s a common way to think about it. VB: I’m not sure I quite understand that logic. I must’ve missed a step in the thinking. Let’s say you’re in a poor neighborhood so you command less rents. You’re going to have a lower quality of housing services and it’s going to be cheaper. The land itself and the area itself isn’t as attractive. It’s true. The land is worth less, so they’re not paying as much for the land. Developers are only going to build a product that warrants that land price. They’re not going to pay twice for that land because they’re not going to get that value out. But again if you said, “Ok, you can build 100 units but we’ll upzone you so you can build x increase.” They might do it because they’re still getting a benefit off the increase in density on the land. Whether they pay 100 or a 1000 they’re only going to develop to that amount. OP: Just one more question. I have talked to a lot of different people. The consensus seems to be that people who study this think that inclusionary zoning is a critical tool. It’s not the only tool but it is one important tool and they are generally supportive of inclusionary zoning. After all the research you’ve read, do you put yourself in the camp that you think this should be a housing affordability priority and you’re generally supportive of inclusionary zoning programs. VB: I am. I am supportive of them. OP: Could you quickly outline the top two reasons you’re generally supportive of them? VB: Ok sure. So you probably know I’m a housing researcher. But I was also a practitioner for many years in city and county government. It is very difficult to get affordable housing built in a lot of markets. It’s got all sorts of barriers. Inclusionary housing is a clear and distinct way that affordable housing can be done. We know that the market is not going to produce as many units at the affordable level to the incomes in the community that are needed. Affordability is a function of incomes and housing prices (the latter a function of supply and demand). In general, the ratio of housing cost to income is very high for many households because there is not enough affordable housing. Inclusionary housing is one way that can be very effective to get real units built that are affordable in the communities. That’s one of the reasons I support it is because it gets affordable units built. One of the approaches to IZ policy is to allow developers to pay an in-lieu (of building the units) fee to a city housing fund. I don’t really like in-lieu fees because these fees are set much lower than the cost of developing some affordable units. I prefer to allow the developers to use their expertise but have something off-setting so that anything that would cut into their profit would be made up by this off-set. Many local economies will falter without adequate affordable housing and more slums with people doubling, tripling, or quadrupling up will occur because it is the only option some households have. There’s certainly a pragmatic side and an ethical side to debates around affordable housing and inclusionary housing is one of the policies that factors into these debates. Victoria Basolo, Ph.D., AICP, is a professor in the Department of Planning, Policy, and Design at the University of California, Irvine (UCI), a faculty affiliate of the UCI Blum Center for Poverty Alleviation and a faculty fellow of the UCI center of Real Estate in the Merage School of Business. She has both professional and academic experience with housing and land use policy. You can read more about her here.